Pyongyang and Seoul are gearing up for high level talks on Tuesday in a possible first step at de-escalating tensions on the Korean Peninsula. Russian journalist and political observer Gevorg Mirzayan explains why the negotiations serve as a major diplomatic victory for Pyongyang, even if they don't lead to any immediate breakthrough. According to Mirzayan, even though President Trump may be correct in bragging that Washington has successfully pressured Korea into negotiations, he's wrong about which Korea it is that caved. Trump patted himself on the back late last week over the news of the upcoming Panmunjom talks, saying that it was the totality of American "might" that pushed Pyongyang to the negotiating table. — Donald J. Trump (@realDonaldTrump) 4 января 2018 г. "Oddly enough, Trump's right. Except not in the sense which he (and Washington) would like," Mirzayan explained, in an analysis piece for RIA Novosti. Seoul and Pyongyang plan to discuss measures to improve bilateral relations, including the conditions for North Korea's participation in the upcoming Winter Olympics in Pyeongchang next month. South Korea is thought to have prepared a package of measures on the Games, including the possible procession of the Olympic torch across North Korean territory, as well as a possible joint march under a unified flag at the Games' opening and closing ceremonies. Seoul is hoping that the positive atmosphere created by this form of symbolic cooperation may help intensify further inter-Korean dialogue. According to Mirzayan, South Korean President Moon Jae-in has never shied away from his interest in dialogue, going back to the election campaign last year. Kim Jong-un's motives, meanwhile, are more difficult to tell, and require some reading between the lines. "Kim said that in 2018, his country will build even more nuclear warheads and missiles, adding that he has a nuclear button on his desk. But at the same time, he expressed willingness to start talking to the South, and even to send a North Korean delegation to the Olympics. In the days since, North Korean officials and media have announced Pyongyang's support of the peace-making initiatives of President Moon, referring to him as the 'president,' rather than 'American puppet'." "As the history of North Korean rhetoric shows, such a change of epithets usually signifies a genuine readiness by Pyongyang to seriously engage in negotiations. And, in turn, Kim himself has already backed up his words by deeds…Specifically, the hotline between North and South Korea, which had previously stopped functioning in February 2016, has resumed its operation." 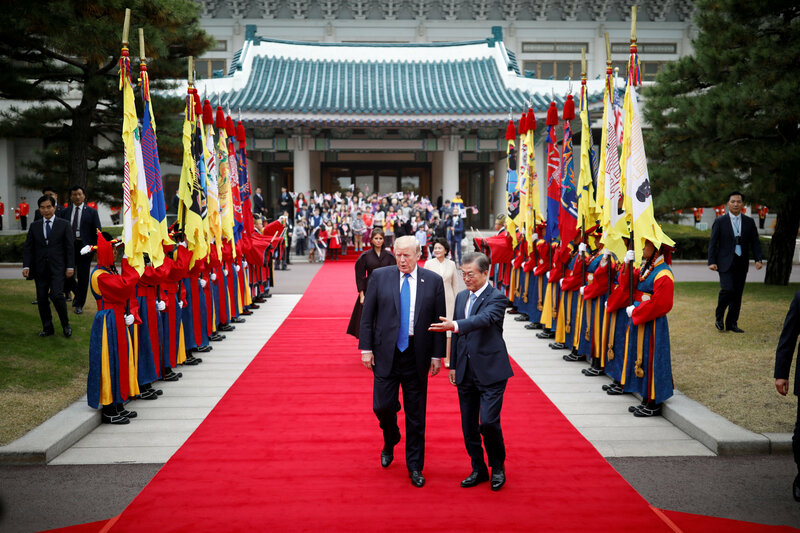 As far as President Trump's rhetoric was concerned, it has only served to push Seoul, not Pyongyang, to the negotiating table, Mirzayan wrote. According to the journalist, "Trump's aggressive rhetoric frightened not so much the North as it did the South. The US ally very quickly realized that the current aggravation of US-North Korean relations is not like the previous ones." Leading Russian Korea expert Andrei Lankov recently suggested that for the first time in decades, the crisis between Washington and Pyongyang is not a 'diplomatic simulation of a crisis', but a genuine one, with the threat of actual war, while remaining low, actually really being on the table. According to Mirzayan, the majority of the victims of such a war would be South Koreans, whose cities would be subjected to artillery, missile and possibly even nuclear strikes. The destruction and loss of life caused by such a war is unacceptable for the South. Therefore, "where Washington sees a victory as the elimination of the North Korean state in its current form, for Seoul, the only possible victory is in preventing a conflict from ever taking place." And Seoul has already taken serious steps to prove that it is not a mere American "puppet," as Pyongyang may have previously called it, the analyst wrote. "First, President Moon agreed to make concessions to China on the deployment of components of US missile defense on its territory. Second, Seoul officially declared that there cannot be a military solution to the North Korean issue so long as hopes for a diplomatic solution remain (thus seriously undermining Donald Trump's negotiating position)." Finally, last week, following talks between Moon and Trump, the US and South Korea officially agreed to refrain from military drills in the region for the duration of the Olympics. "From all appearances, this initiative came from the South Korean leadership as well," Mirzayan noted. After all, "both Trump and US Defense Secretary Jim Mattis had clearly indicated that they did not want to stop the drills, seeing no point in doing so. US diplomats have said on more than one occasion that they do not attach much importance to talks between North and South, since they don't believe in Kim's sincerity." In other words, the journalist argued, Kim Jong-un, not Donald Trump, has come out on top in the present diplomatic confrontation. "He managed to drive a wedge into US-South Korean relations, and began the negotiation process [on his own terms]. After all, the official US position is that negotiations with Pyongyang should take place on condition of the country's complete denuclearization." 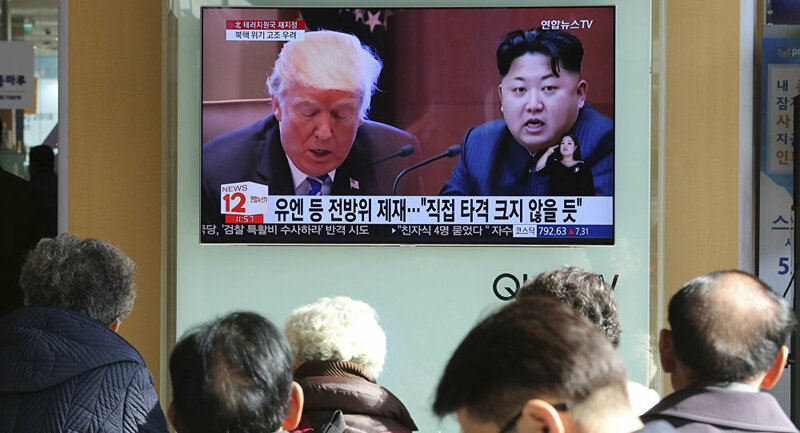 According to the analyst, Trump cannot afford to admit the failure of his policy of maximum pressure, and will likely "continue in the same spirit, even if he realizes the weakness of his position and the US's growing isolation on the North Korean issue." The US president, in Mirzayan's view, has to account for domestic political issues (including Washington's eternal need for an external enemy), and cannot simply accept that some 'rogue state' is capable of carrying out a nuclear strike on US territory. "This is why he denounced the breakthrough proposal by Secretary of State Rex Tillerson about a US willingness to start negotiations with Pyongyang 'anytime and on any topic, even the weather,"…and continues to flex his muscles (in this case, about the size of the nuclear button, with Trump's, according to the president, being 'bigger')." The greatest danger now, according to Mirzayan, is that the US may attempt to get itself out of its isolation by disrupting the inter-Korean talks, forcing Seoul to return to a military solution. "However, it's also highly likely that Pyongyang has already read America's cards, and will be unlikely to succumb to future provocations. 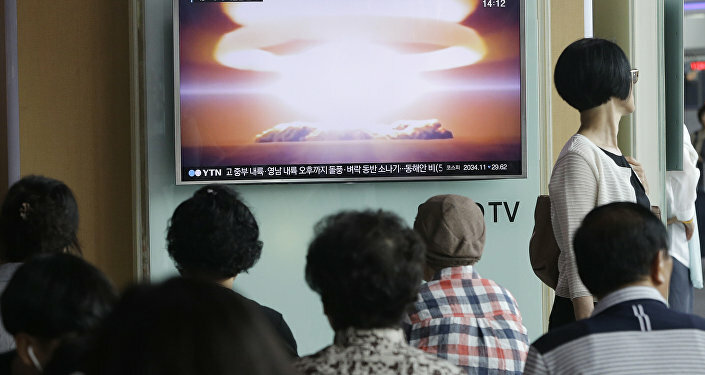 While the State Department may say otherwise, Kim Jong-un is not crazy, and does not want a nuclear apocalypse."